Kubatans are highly accessible, extremely durable, effective self defense weapons. Flat ended or pointed Kubatans come in various colors to choose from. They can be used for stabilizing your fist, applying pressure to sensitive parts of an assailant's body, or gaining leverage on an assailant's wrist or fingers. Public Safety Aircraft-Grade Aluminum Keychain Kubotan. Grip your kubotan and get to protecting yourself. A great public safety tool, the kubotan has been around for generations. 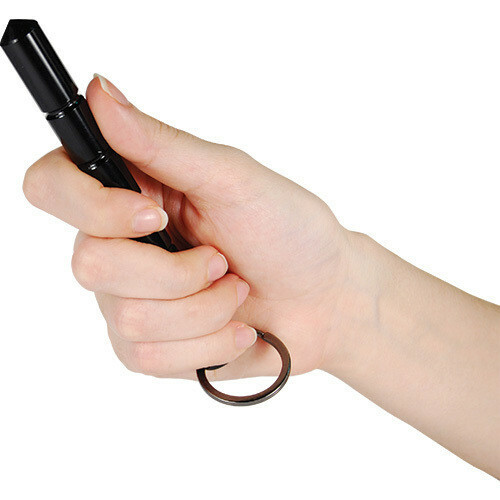 Starting in Japan and originated by the man who trained their police, this is a non-lethal defense tool that looks harmless but packs a hard hit. Get yours now.